We take a look here at the performance in January 2016 of Betting Gods, a tipster platform that provides tipping services across a range of sports including horse racing, tennis, greyhounds and football. There are 14-day free trials offered for all of their services, with no payment details required, which is a great way of seeing if you like the services and want to join for a longer period. As you can see, it has been a great month for High Rollers Betting, who smashed in over 100 points profit over the course of the month – outstanding stuff. Big Race Bookie Busters also made a welcome return to form with 58 points of profit accumulated in a stellar month for them. Premier Greyhound Tips notched up another profitable month to make it 11 out of the last 13 – an enviable level of consistency. It was also a very strong month for Value Racing Tips, who racked up an excellent 45 points of profit to underline their record as one of the top tipsters out there. 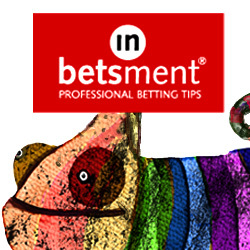 Let’s hope for more excellence from the Betting Gods tipsters in February – and beyond!